Ben Foss was a bright kid, but as a student, he struggled with reading even the simplest text. Afflicted with severe dyslexia, he relied on parents and tutors to read him his homework since the words on the page made no sense to him. At Stanford, he managed to earn two advanced degrees by laboriously scanning books and then running them through synthetic speech software so he could comprehend the words. so he could comprehend the words. journals and magazines wasn’t available in audio form. 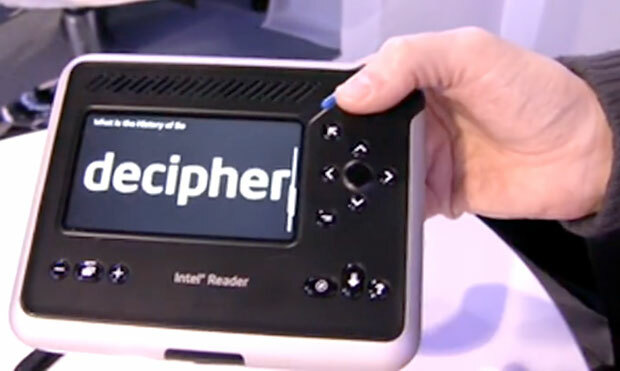 The device, designed by Silicon Valley design shop, Lunar, for Intel’s Digital Health Group, is about the size of a paperback book or a hand-held video game. It works by taking a picture of a page of text, then converting it to speech. There are an estimated 55 million people with dyslexia, low vision or blindness, who find reading printed text difficult or impossible. In addition to students, the device is designed to be convenient for older people who find it hard to read restaurant menus or mail, and it has clever tactile cues, such a corner cut off like a dog eared book and buttons distinguishable by feel and location, to help the blind orient themselves. 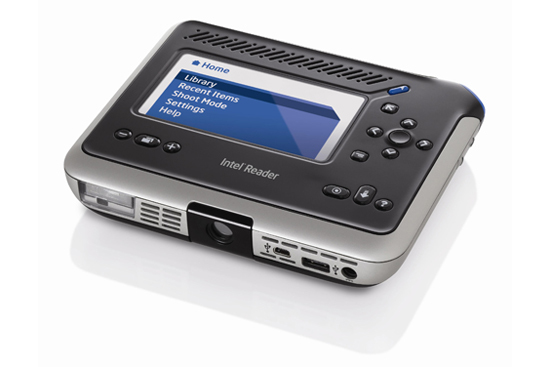 The device has been endorsed by the International Dyslexia Association and will be available for about $1,500 through CTL, Don Johnston Incorporated, GTSI, Howard Technology Solutions and HumanWare. The capture station costs an extra $400.